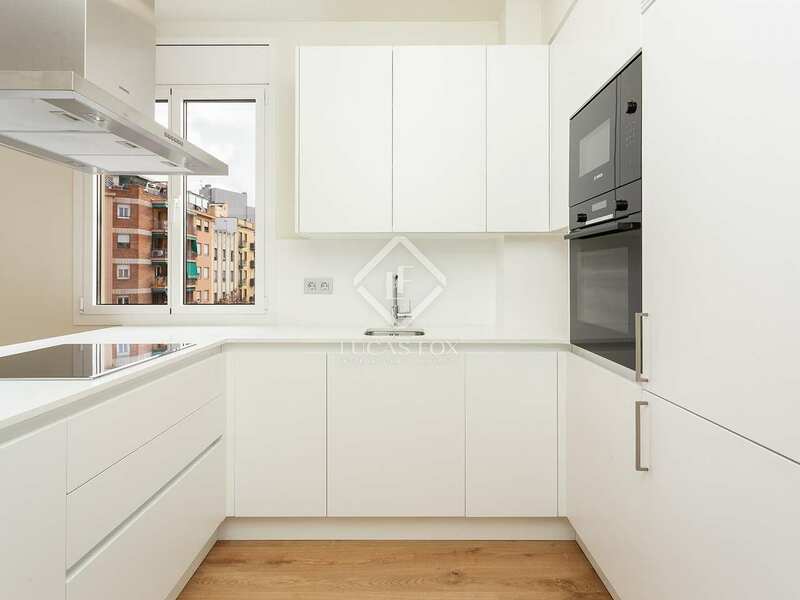 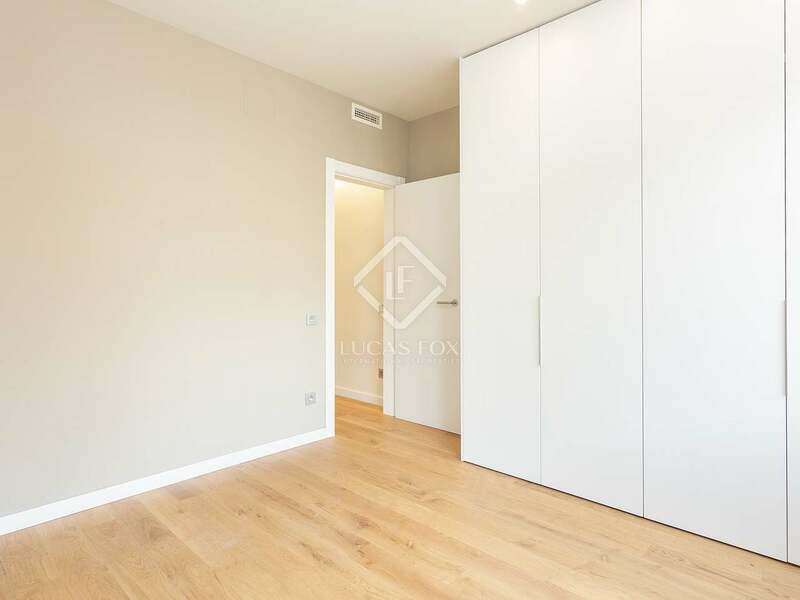 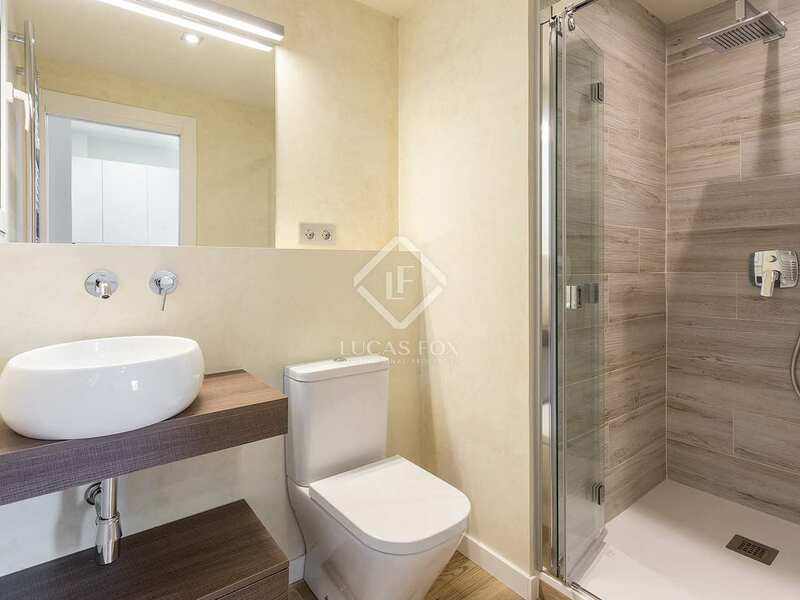 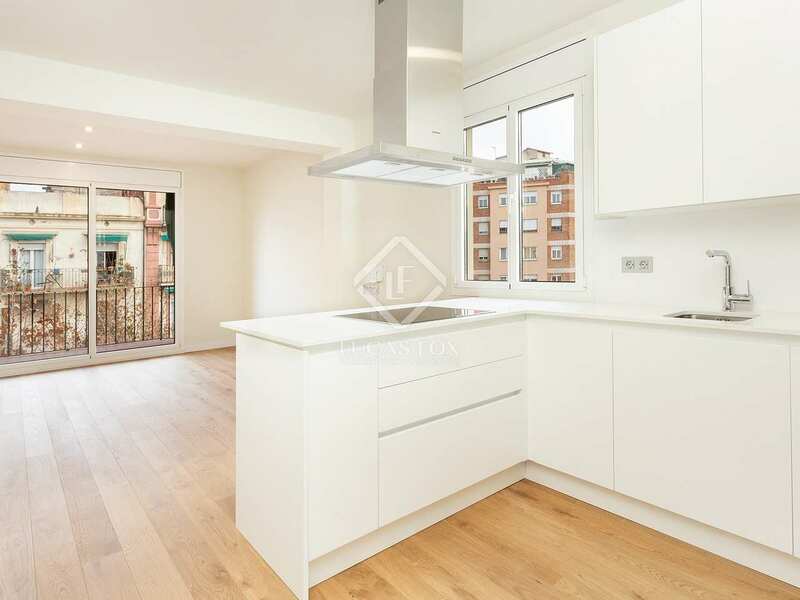 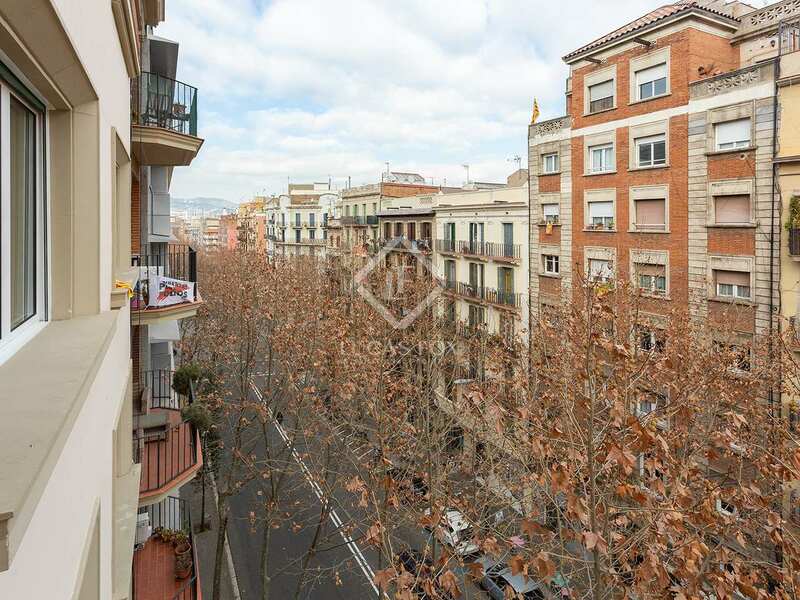 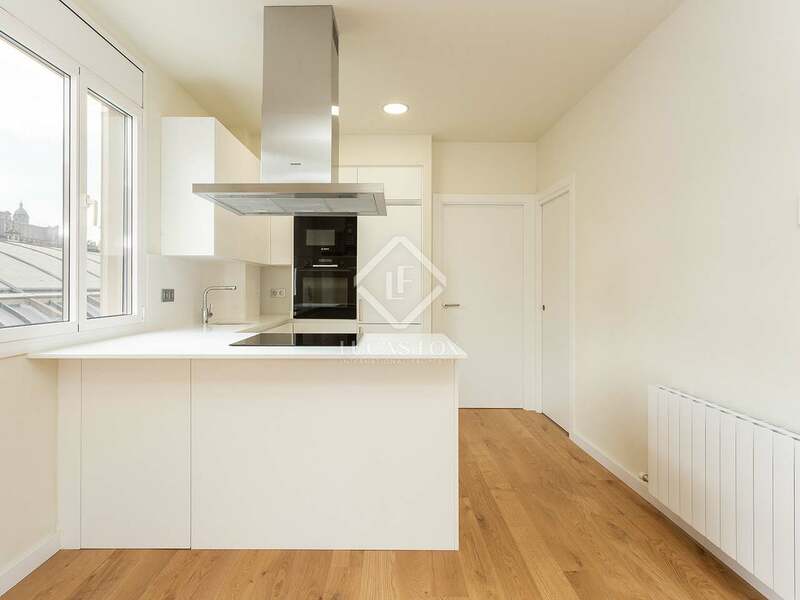 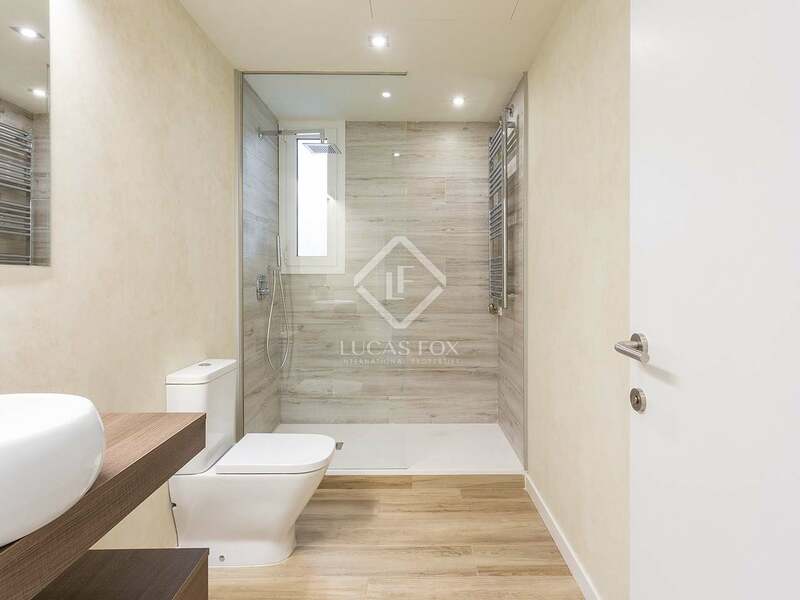 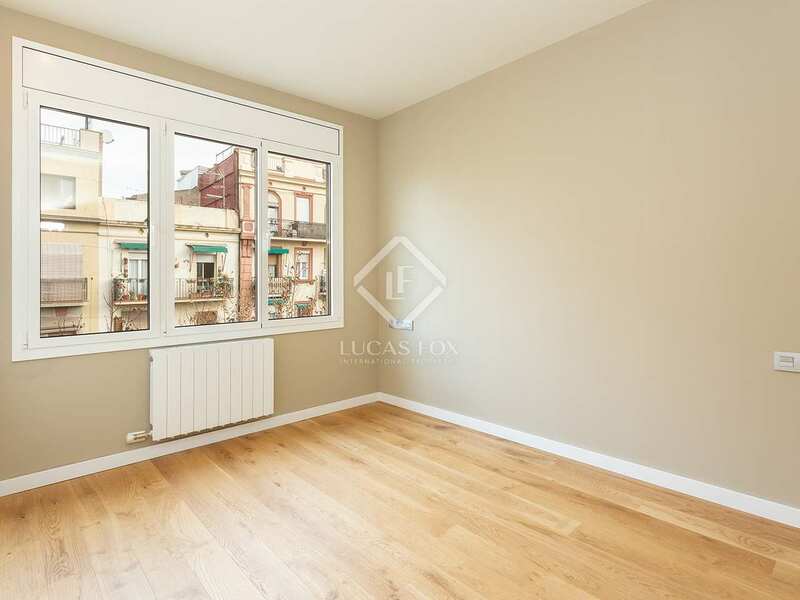 Renovated 2-bedroom apartment with abundant natural light and views of Montjuic, for sale close to Plaça d'Espanya in Barcelona. 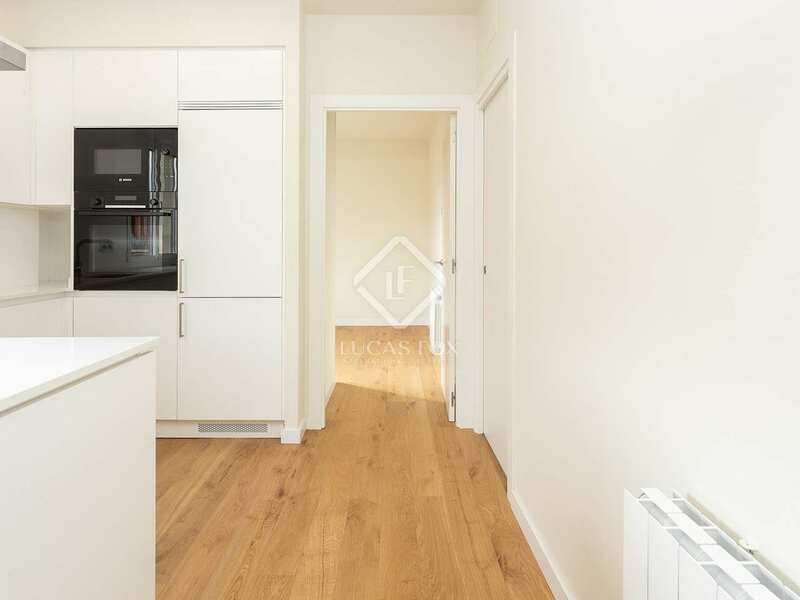 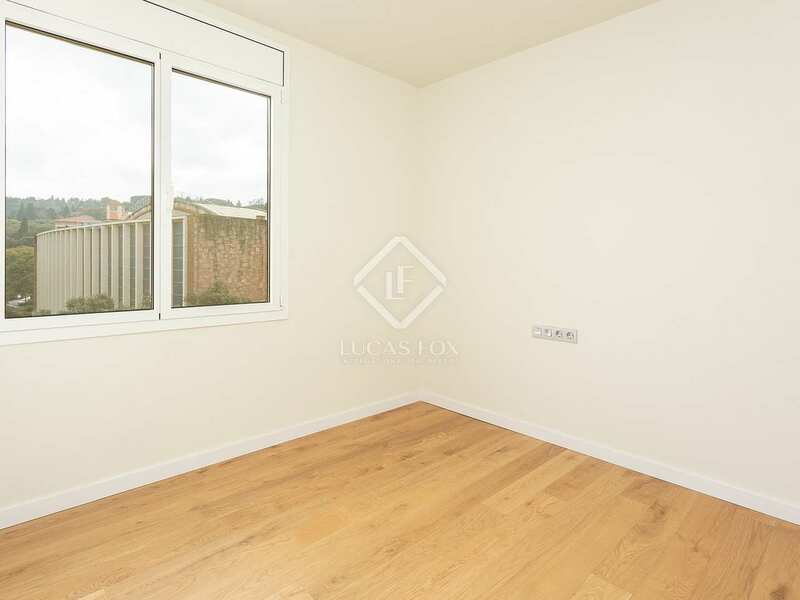 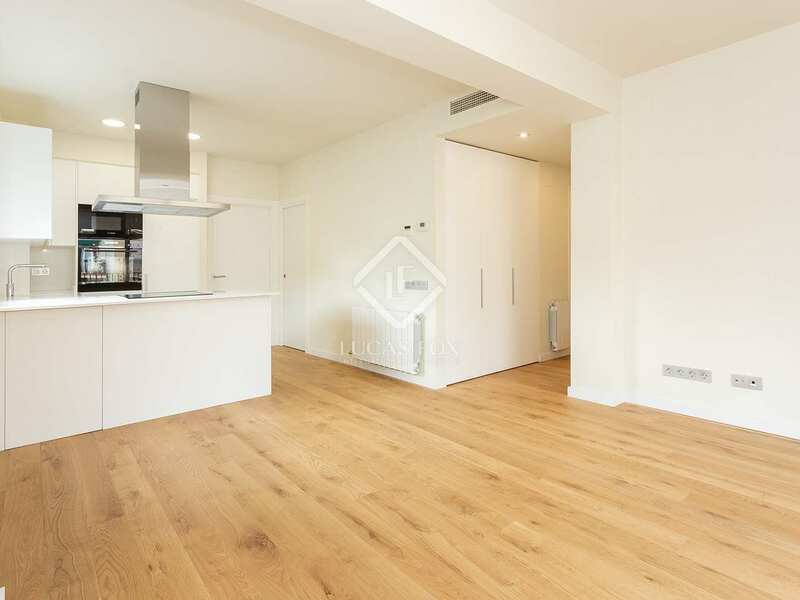 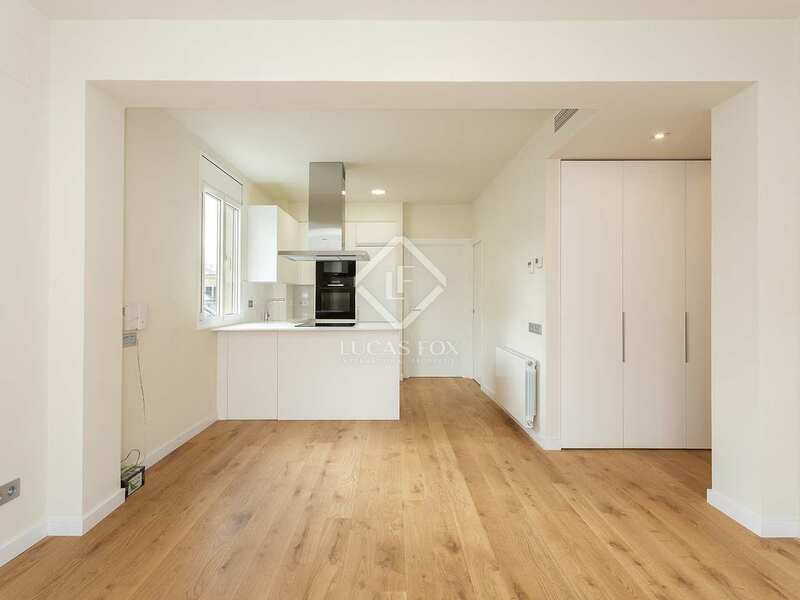 This modern apartment is within a building dating back to 1960 with refurbished communal areas. 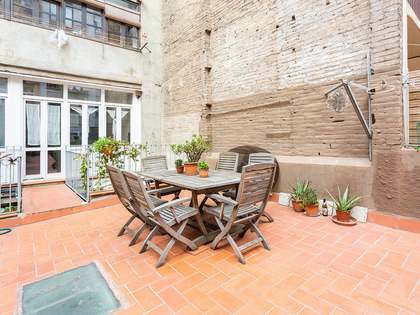 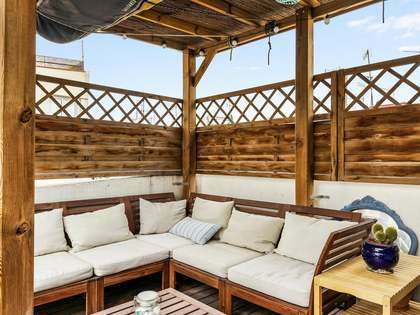 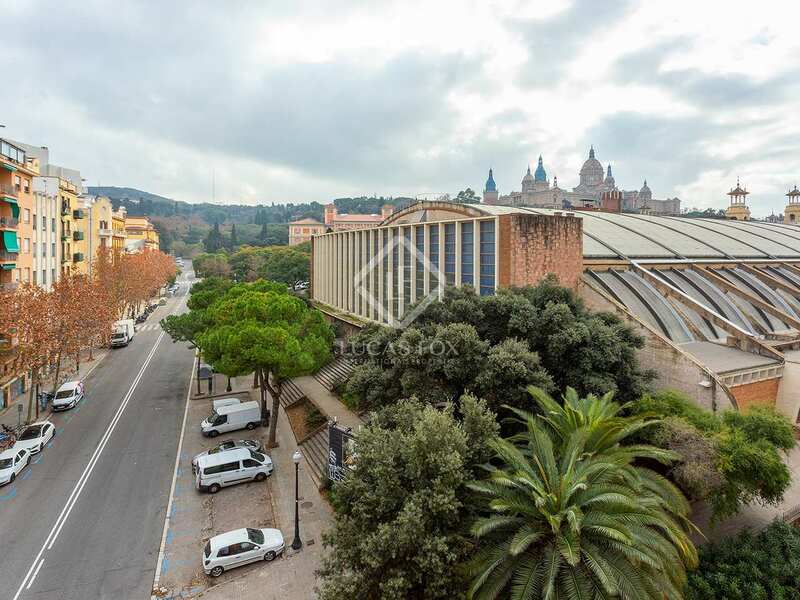 Set on the 5th floor of a corner building, the apartment enjoys abundant natural light throughout the day and offers views as far as Montjuic. 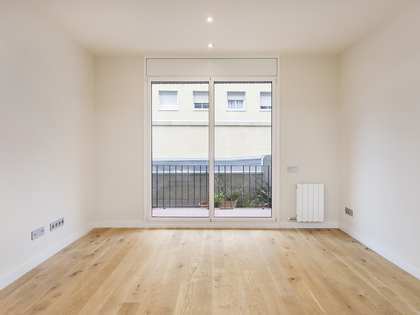 The apartment has been fully renovated and is presented in impeccable condition with elegant interior design. 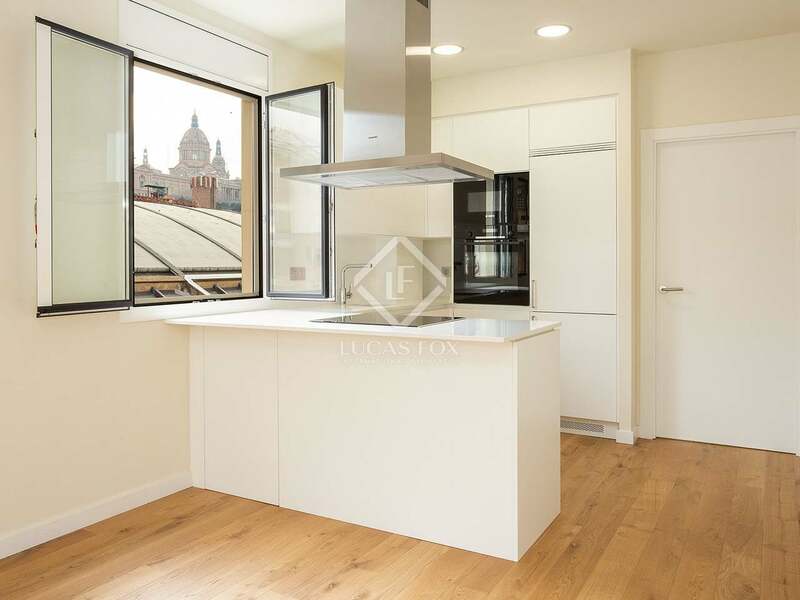 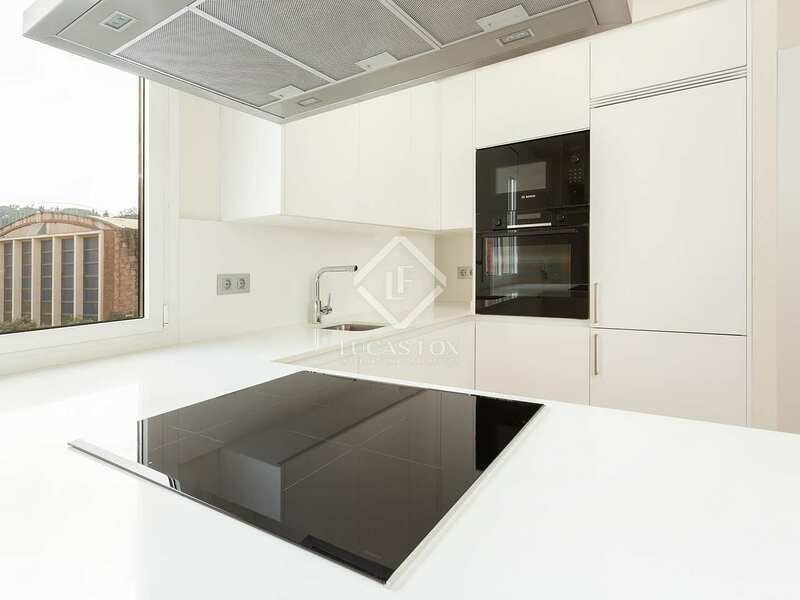 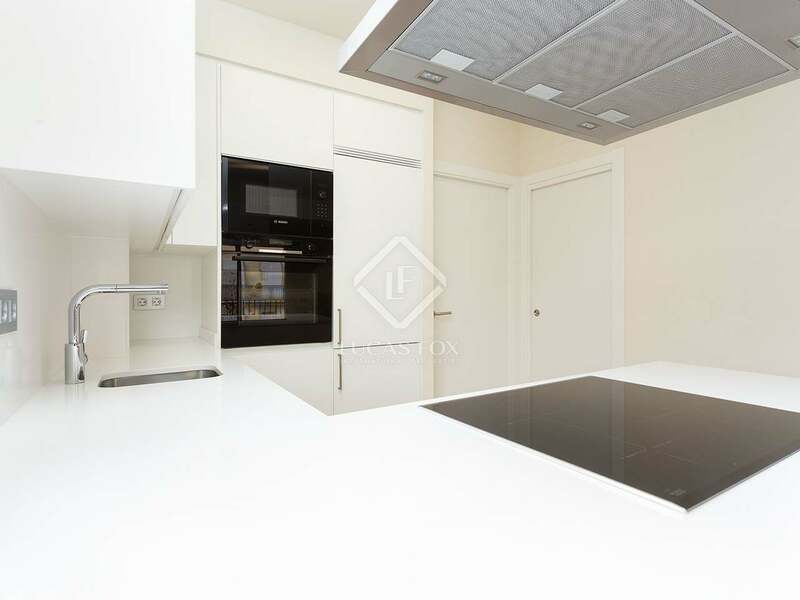 Measuring 75m², the apartment has an open-plan living-dining area and a kitchen fully fitted with modern appliances. 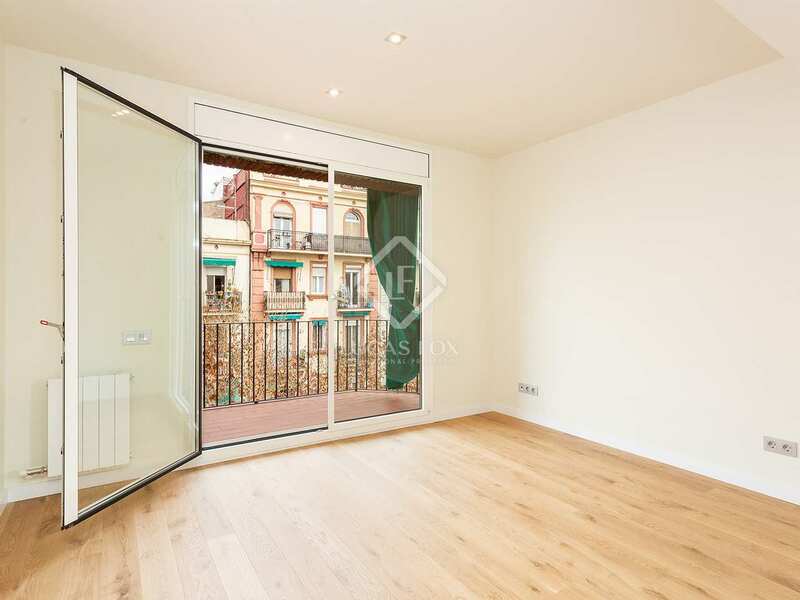 French windows in the living area open onto a balcony of around 5m² which overlooks the interior courtyard. 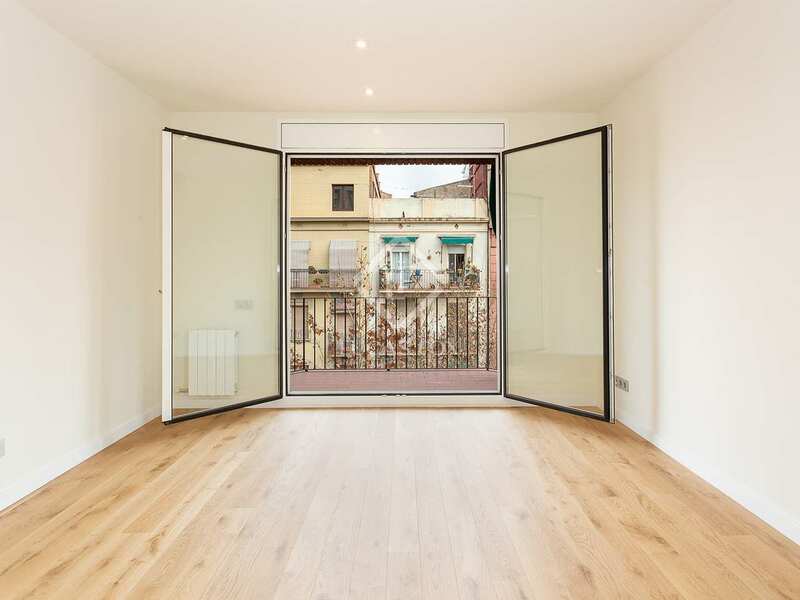 In addition, the property enjoys access to the building's light well. 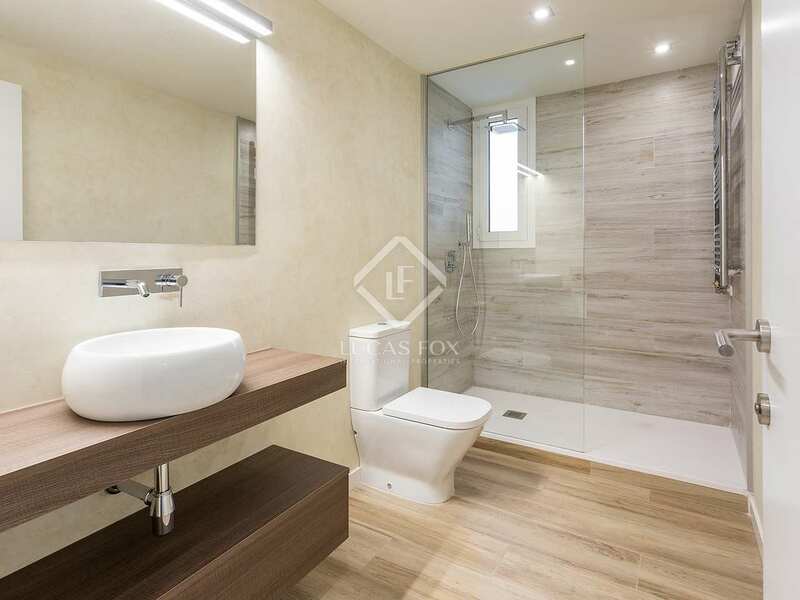 Two double bedrooms and two bathrooms complete the apartment. 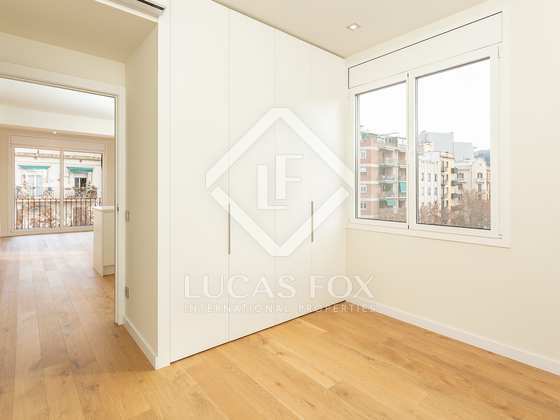 This is the perfect option for those working in central Barcelona or who require good transport links. 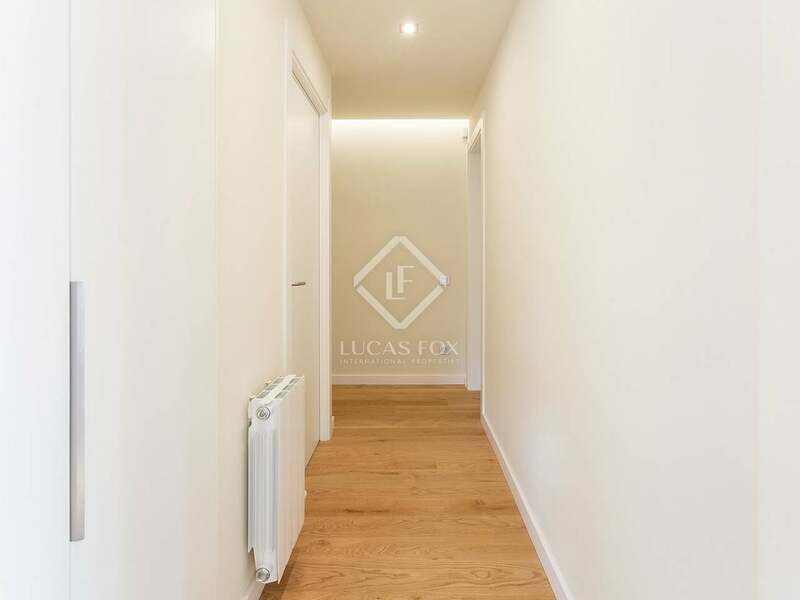 The property would also make an interesting investment opportunity given its desirable characteristics and central location. 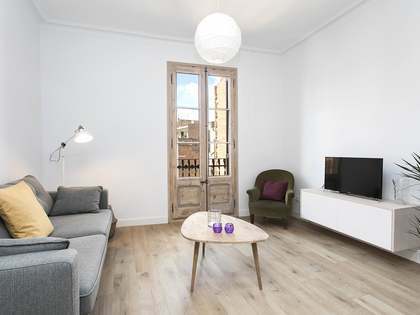 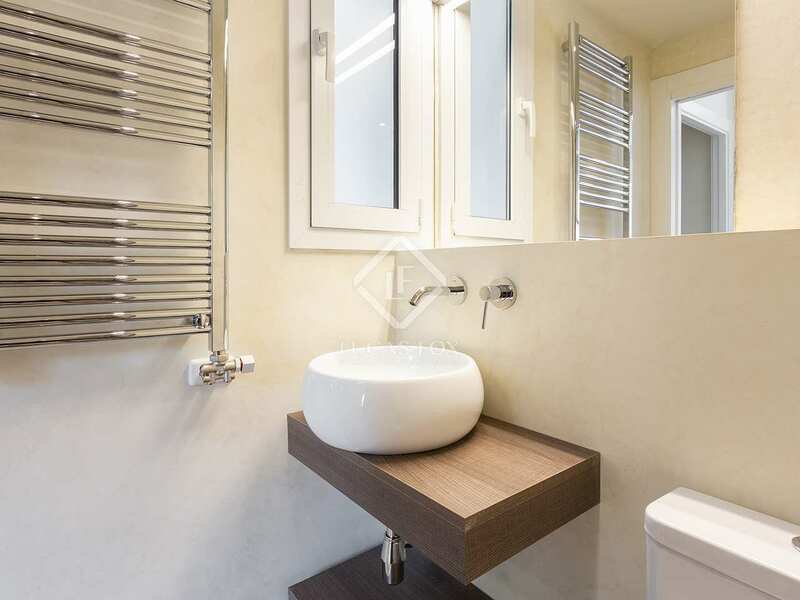 The apartment is very well located in Barcelona's popular Polbe Sec neighbourhood. 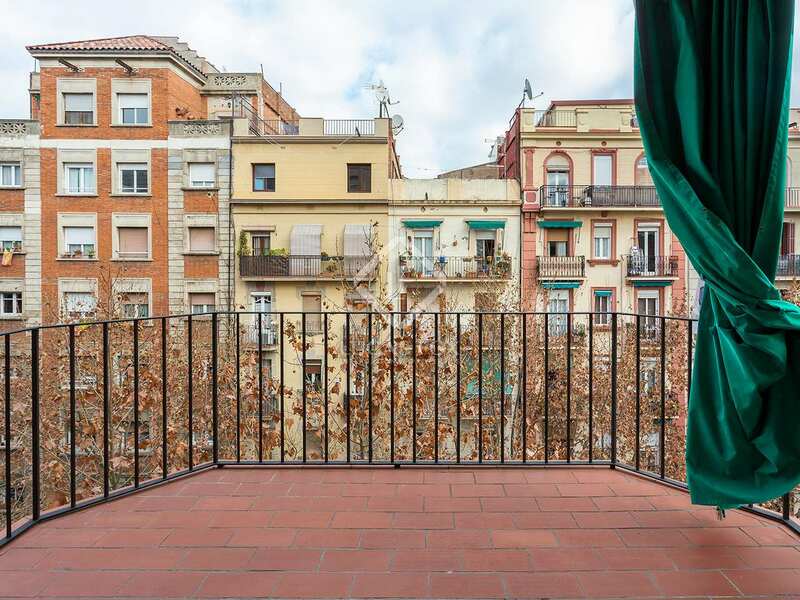 It is very close to Plaça d'Espanya, with its excellent transport links, Avenida Maria Cristina and Barcelona's exhibition and fair pavilions.